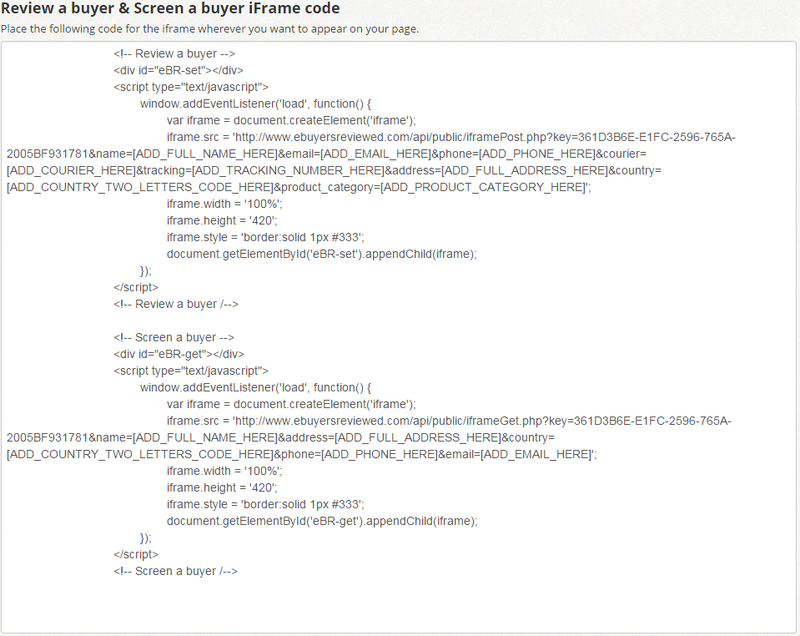 iFrame Integration Guide - Report Bad Buyers and Screen New Buyers! How to integrate the iFrame? STEP 3 Click on the Get iframe code button to copy the code (Figure 3). Paste it at the bottom of your order details page's HTML source code. 1. You need to copy the iframe code (which includes sample data in the name, email and other fields) and paste it at the bottom of your order details page's HTML source code. 2. The next step is to substitute the iframe code sample fields data [ADD_NAME_HERE] with the data that represents the same fields in your order details page's HTML code. 3. 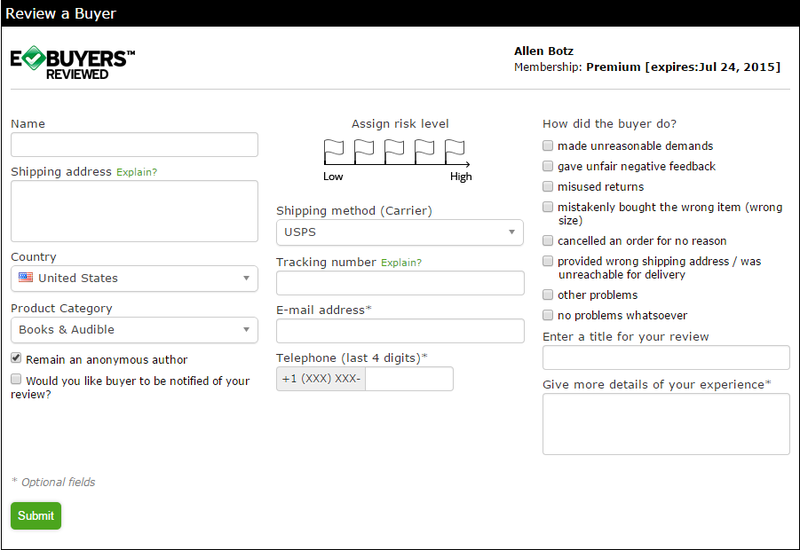 Find your order details in your order details page's HTML code and copy the data that represents the buyer’s name. 4. The next step is to substitute [ADD_FULL_NAME_HERE] (the brackets and the sample data inside) with the data that represents the buyer’s name in your order details page's HTML code. Example: Susbtitute [ADD_FULL_NAME_HERE] with [FIRST_NAME] [LAST_NAME] (keep in mind that your data that represents the same field may be different). 5. 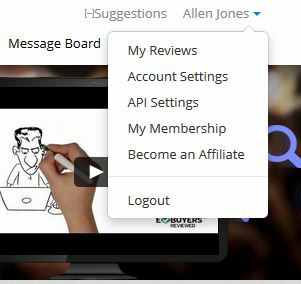 You need to do the same for the rest of the Review and Screen API fields that you have in your order page's HTML source code: [ADD_EMAIL_HERE], [ADD_PHONE_HERE], [ADD_PHONE_HERE], [ADD_COURIER_HERE], [ADD_TRACKING_NUMBER_HERE], [ADD_FULL_ADDRESS_HERE], [ADD_COUNTRY_HERE], [ADD_PRODUCT_CATEGORY_HERE].